Students from the University of Tirana and Polytechnic are protesting in front of the Ministry of Education to request the retraction of a newly implemented fee for failing to pass a University exam. The protest started at 9:30am at the University, from where they marched towards the Ministry of Education calling on the Minister of Education, Lindita Nikolla, to retract the decision over a megaphone. They have thrown eggs in the direction of the Ministry and the students have also blocked the road toward the Ministry of Education. “First the removed the facilities to pay our tuition fees by instalments. Now they add this 650 lekë fee for every exam?” shouted one student. According to them, the fees are too high and the students cannot afford to pay. At one point, Ministry representatives led by the Deputy Minister of Education, Besa Shahini, came out and asked some students to enter the Ministry and prepare a list of their demands in writing. However, this was rejected by the students, who demanded the Minister come outside and talk to them. “They ask us what they already know they can do better!" retorted a student. Students of University “Aleksandër Xhuvani” have also boycotted lessons today in an expression of opposition to the 650 lekë fee set by the Ministry of Education. Students say the protests will continue until the decision is reversed. Students are gathering signatures to form a petition, requiring 50,000 names to be listed. A Professor in the Faculty of Law, Ermir Dobjani, was by the side of students at the protest being held in front of the Ministry of Education. 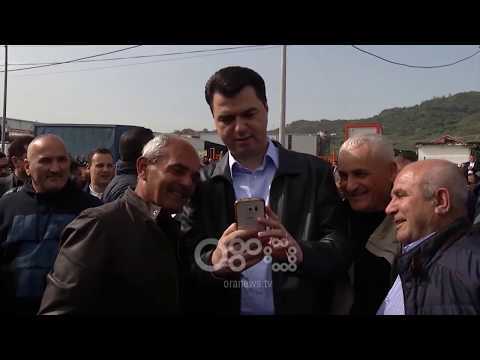 Speaking over the megaphone, Dobjani, who held the post as Albania's first Ombudsman from the year 2000 to the year 2010, urged students to continue their protest and even to join forces with the residents of Astir whose dwellings are being demolished as part of the New Ring Road project. “At the head of the Ministry of Education is a criminal not a Minister. She remains in her position because she aligns with Edi Rama's criminal policy. “They know no logic, only violence. You must join the protests of those whose residences are being stolen, or else you will receive no solution,” concluded Dobjani.